Things happen. We all know that. But are you and your family prepared in case there is an emergency at home or work. 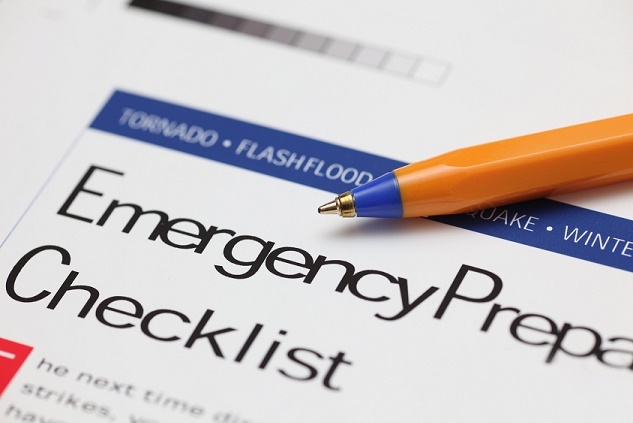 It’s important to have an emergency response plan, especially for the places you and your family go to the most. Here are some suggestions you can do now that can make a BIG difference to help you be prepared in case of an emergency. Establish a meeting place: Have an evacuation plan and a set meeting place away from your home to save time and confusion if your home is affected or evacuated. Make sure you share this with all your family members. Taking care of your pets: Have an emergency plan to care for your pets. Remember, your pets depend on you! Have an emergency contact: Choose an out-of-town contact your family can email or call to check on each other if there is severe weather. Your contact should live far enough away that they would not be away from this severe weather. Also, make sure they know they are your contact. Assemble an emergency survival kit: If you need to leave your house or are asked to “stay in place,” have some basic supplies on hand that will make you and your family more comfortable. Prepare an emergency kit in an easy-to-carry container like a duffel bag or small plastic trash can. Also have your medical, prescription and insurance information in your wallet or disaster kit. Meet with your family to make an emergency response plan You will need to know if your child’s school will keep children at school until a parent or adult can pick them up or send them home on their own. Be sure that the school has current information on how to reach you or responsible caregivers to arrange for pickup. Set up your cell phone with a lock screen photo with your important emergency information available to emergency helpers. Adding an image to your lock screen is easy, too. There are a number of emergency contact applications for both Android and iOS phones. If you go to your app store, search for “emergency contact” and all your app choices should appear. You can buy an emergency kit for your car at any major retailer. Here is a handy list to have when getting your car ready. You can also visit redcross.org and ready.gov for additional emergency preparedness information. Now that we’ve shared some of our tips, what’s your best emergency tip? Share your insight with us.